The Museum Van Loon is a 17thcentury canal-house alongside the Keizersgracht, named after the Van Loon family that resided here in the 19th-20th century. The Museum Van Loon is a 17thcentury canal-house alongside the Keizersgracht, named after the Van Loon family that resided here in the 19th-20th century. 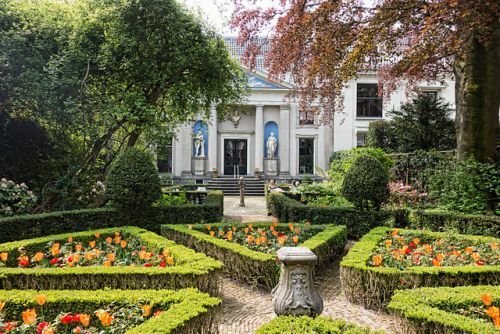 The traditional Dutch home is richly furnished, and adorned with fine paintings. It has beautifully manicured gardens and a coach house with a stable.